Planning and delivering an event is a hard work and involves a lot of details. And it definitely requires investments. Finding the right venue can be one of the trickiest and most expensive parts of your event. Usually we would want a bigger venue to accommodate as many attendees as possible, right? What if, you could get a smaller venue and live stream your event to expand your reach? Streaming your live event is a great way to extend your event capacity and maximize your efforts. It allows you to invite more people locally or from all over the world, depending on your industry. You can either broadcast the entire event and charge different prices for the online audience or live stream specific parts of the event, for free. The latter will allow you to gain awareness and reach a bigger audience. 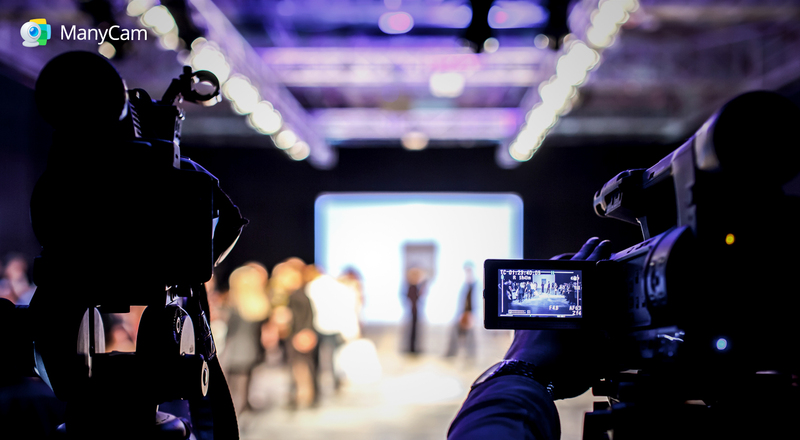 We’ve put together some practical tips to keep in mind when live streaming your next event. Without a doubt, setup can make or break your live stream’s success. To make it work for you, you’ll need to invest some of your budget. Either invest on equipment and do it by yourself, or a bit more, if you want to hire a company to take care of the technicalities. It’s important to know the venue, to get the appropriate equipment. Usually, they already have some audio equipment and can help you out. At the very minimum, you’ll need one camera and a tripod, strategically placed, microphone for the guest speaker, internet connection, a laptop and a software to manage your live stream. Check out the 4 key factors for a live stream setup. Keep in mind, you’ll need a capture device to convert the video and audio into a readable format to your software. The device needs to be compatible with your computer system. Ideally, you should have at least a couple of cameras, to create different points of view and make your live stream more interesting. It’s also good to connect your software with the presenter’s computer, to access their presentation. As we say it here all the time, testing everything before your live stream can prevent disasters. It’s important to test all your equipment some time before the event, as well as having and testing backup equipment. Also, test the equipment in the venue, possibly a few days prior to the event. Some venues allow you to enter the night before, and that is a great opportunity to position your equipment and test. Even if everything worked well every time you tested, make sure you test all of it on the day of the event, to be on the safe side. It may sound like a lot, but this can save you from a lot of stress later on. Bonus tip: On your computer screen keep an eye on everything throughout the whole live stream. Have your software on one corner, followed by a small window of the actual stream output on YouTube for example (on low quality), a window with real time analytics, your internet connection specifications and the chat. Having a well-structured schedule is nothing new for an event. It creates the right expectations for your attendees. What people usually forget is that the same goes for your online attendees. They want to have a proper schedule. So, if your event will be exactly the same for the online viewers, make sure you share the schedule with them. The other alternative, is to create a specific schedule for the online event, with different segments. This strategy will definitely make your online event more appealing. If you’ve watched an online event, you were probably left staring at an image that says “We’ll be back after a short break” with a countdown clock. While that works for very short periods of time, overall it can be quite dull and discouraging. The solution here is to plan activities and interactions, focused on the online audience. Which brings us to our next point, having a host dedicated to the online event. The host can give your online audience a much more impactful experience while you live stream your event. They can talk directly to the viewers, engage and interact with them. During the breaks, there are many different things the host can do to keep the online attendees interested. For example, s/he can interview people present at the event, get their insights on the industry. Depending on how long the break is when you live stream your event, the host can prepare some content in relation with the event and present to the viewers. An extra presentation definitely brings more value to the online event than simply having a sign “Be Back Soon”. The host can also do a Q&A with the online audience, answer their questions and even get them to send questions to the next presenter. Instead of leaving the chat for the person managing the live stream technicalities, the host can take over the chat and act as a moderator. Sometimes, when people live stream an event, they forget that the online audience can’t see the “entire picture”. What do we mean by that? Well, many presenters rely on visual aid, such as, slide decks, videos, images etc. During their presentation, they might say “As you can see by these results…”, “have a look at this image…” and so on. But what if the online audience sees only half of the screen because you positioned the camera to focus on the speaker? It can be frustrating for your viewers and they might get lost in the presentation. The best solution for that is to have a connection with the computer where the presentation is. So, you can add it to your live streaming software, as an extra video source. Therefore, it will be easy to transition from your camera to the presentation. If you don’t have the right equipment for it, make sure you’re able to position your camera according to the placement of the screen. Bonus tip: Be careful with the sounds that come through when you live stream your event. Apart from the noise, music, and sound in general, usually have copyrights and it might be illegal to put them online. Every time a song comes up, simply mute it. Otherwise, the streaming platform could take your live streaming feed down. Broadcasting your event is a great way to increase your audience and get more out of your events. Next time you prepare a live event, don’t forget to plan the live streaming of it as well. Follow these tips and you’ll be live streaming like a pro! If you don’t have a live streaming software to help you live stream your event yet, make sure you check out ManyCam.